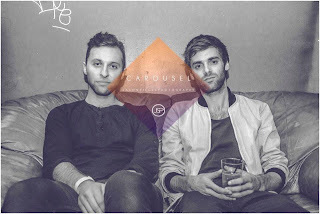 Carousel - "Close My Eyes"
The duo based in LA known as Carousel is really making an impact and generating some buzz about their well crafted sound. They returned with another song called "Close My Eyes," which has an 80's inspired sound. Yet, their electro/pop style still has a modern touch that will get you listening over and over. This latest track will be on their upcoming Palms EP, out next week and recommend you check out. Stream the latest tune below.